While the Bush Administration looks to the weapons inspection process in Iraq to turn up a material breach worthy of war, hawks in and out of government have been making a separate case for invasion, claiming that a US military strike against the country is necessary under the amorphous rubric of the “war on terrorism” and because of Saddam Hussein’s alleged connections to Al Qaeda. In fact, it is Saudi Arabia rather than Iraq that has supplied much of the ideological and financial impetus for Al Qaeda, and it is Saudi Arabia that continues to play an obstructionist role in the investigation of the 9/11 attacks, not Iraq. BERGEN: I think this story about the money transfers from the wife of the Saudi ambassador possibly to these hijackers, when you look at it, may not add up to very much. She probably didn’t know where the money was going. It is not even clear if it ended up in their pockets. However, I think there is a wider point, Anderson, which is that Saudi Arabia historically has never cooperated with investigation in terrorist actions against Americans, that was in the ’90s, and the attacks against U.S. facilities in Saudi Arabia, Dhahran and Khobar Towers. But again in the 9/11 investigation where you would have thought they would be pretty cooperative. I know some people directly involved in the investigation. They use the words like “useless,” “obstructionist,” “despicable;” those are the words that are printable. In past weeks Al Qaeda has relaunched itself, a rebranding that presages a second phase in its war against the West. The clearest evidence for this shift is in three audiotapes that Al Qaeda has released since the beginning of October from its top leaders, Osama bin Laden and Ayman al Zawahiri. THE author of Holy War Inc, a best-selling book on al-Qaeda, said the impact of the Bali bombing does not depend on whether the culprits are directly linked to Osama bin Laden’s terror network. “It doesn’t really matter in the end,” said Peter Bergen. “Let’s say it is nothing to do with al-Qaeda. Is that a cause for comfort? I don’t think so. 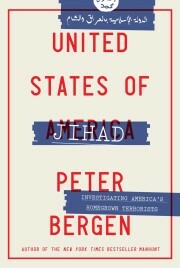 Because then, we are moving into a new phase of leaderless resistance, where people are doing things on their own.” Bergen compared al-Qaeda and associated groups to a cluster of grapes: both tied together and separate. Some groups share training and personnel with al -Qaeda; others identify more with its ideology and outlook.